Ask Cristina - Fortune Telling :: sidetaker. Are you looking for answers to your relationship, business or career? Are you ready for the truth and profound insights that can help you in any circumstance? Come chat or call me, as I'm here to help you see the best course of action to take for yourself, and your spirit. Allow me to inspire, enlighten and empower you with a detailed and accurate reading. I’m a five-star reader and one of the best in the field. As my psychic abilities have evolved I’ve become quite proficient in remote viewing and connecting to the other side along with clairvoyance and telepathy and empathy, so I can feel what your lover, or a boss, or co-worker may be thinking about you. Contact me today and allow me to provide the insights or spiritual solutions you need. 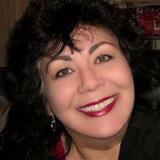 Psychic Reader for more than 40 years, an expert in Tarot, astrology. Member of Association for Psychics USA. Serving the Kasamba community for 15 years. Expert in the paranormal and other dimensions. Amazing I have spoken to Ms Cristina on numerous occasions so great ?? love her energy! Conflicting info compared to another reading so I’m confused now. Great so good. Thank u. Great reading. Spot on, as always. Thank you!!! Always and always and for ever she is an angel ?? Great reading. Confirmed what I already knew,. As unfortunate as that is, it was helpful. shes given me clear picture every time, will be back once her prediction comes to pass. thnx cristina, uve been honest and i appreciate.